What May Be Some Negative Health Effects Of Aspartame? Aspartame is one of the most common artificial sweeteners in use, sold under the brand names NutraSweet and Equal, because it is 200 times sweeter than table sugar. Although diet drinks are calorie-free, they may also have a negative impact on the brain and waistline. Soda companies have used aspartame in their diet beverages as a sugar-free sweetener for many years. The goal was to provide a calorie-free drink with a similar taste to the soda’s original formula. They thought it could help many people lose weight and help those with diabetes fight the disease. Today, research shows that the artificial sweetener may not be as beneficial as previously believed. Aspartame is one of the most common artificial sweeteners in use, sold under the brand names NutraSweet and Equal, because it is 200 times sweeter than table sugar. It is made by combining the amino acids aspartic acids and phenylalanine together. When ingesting aspartame, the aspartic acid-phenylalanine bond is broken, creating minimal energy. Physicians initially thought that individuals with phenylketonuria (PKU) were the only ones who needed to refrain from aspartame. Now, research is showing that this chemical sweetener should be avoided by everyone. The researchers, from the School of Medicine at The University of Texas Health Science Center, San Antonio, presented an animal study at the American Diabetes Association and found a link between aspartame consumption and blood sugar levels. They researched that if a mouse was fed chow mixed with aspartame, then the mouse had elevated fasting blood sugar levels, a suggestion of a diabetic or pre-diabetic condition. Although animal studies are not transferable to humans, the results were still meaningful. A 2013 review called Folia Neuropathologica found that excess phenylalanine, a byproduct of aspartame metabolism in the body, reduces brain levels of serotonin and dopamine. Serotonin is responsible for the sleep/wake cycle, memory, and mood changes. Dopamine is necessary for sensations of pleasure, motivation, and thinking. A 2007 review published in Molecular Psychiatry showed that decreased levels of serotonin and dopamine contribute to major depressive disorder. The U.S. Food and Drug Administration has received many anecdotal reports suggesting diet soda consumption may contribute to an increase in symptoms linked with Parkinson’s disease. Scientific studies are still waiting to confirm the association. Excess amounts of another byproduct of aspartame metabolism, aspartic acid, can cause hyper-excitability. Another study presented in Folia Neuropathologica showed that aspartic acid is converted to glutamic acid, an excitatory neurotransmitter that stimulated nerve cells. Too much stimulation can eventually lead to cell death and neurodegenerative diseases. The notion of whether aspartame causes cancer is controversial and is still being researched. A 2010 study in the American Journal of Industrial Medicine does suggest the possibility of aspartame increasing the risk of cancer. The occurrence of cancer was directly associated to the amount of aspartame consumed, indicating a dose-dependent relationship. People should drink carbonated beverages in moderation. Though diet drinks are calorie-free, they do have a negative impact on the brain and waistline. Water is still a great alternative to sugar-free drinks and yields many positive health benefits. Mark, L. P., Prost, R. W., Ulmer, J. L., Smith, M. M., Daniels, D. L., Strottmann, J. M., ... & Hacein-Bey, L. (2001). Pictorial review of glutamate excitotoxicity: fundamental concepts for neuroimaging. American journal of neuroradiology,22(10), 1813-1824. Rycerz, K., & Jaworska-Adamu, J. E. (2013). Review paper Effects of aspartame metabolites on astrocytes and neurons. Folia Neuropathol, 51(1), 10-17. Ruhé, H. G., Mason, N. S., & Schene, A. H. (2007). Mood is indirectly related to serotonin, norepinephrine and dopamine levels in humans: a meta-analysis of monoamine depletion studies. Molecular psychiatry, 12(4), 331-359. Soffritti, M., Belpoggi, F., Manservigi, M., Tibaldi, E., Lauriola, M., Falcioni, L., & Bua, L. (2010). Aspartame administered in feed, beginning prenatally through life span, induces cancers of the liver and lung in male Swiss mice. American journal of industrial medicine, 53(12), 1197-1206. Cohen, S. (2001). What's the truth about the health risks of sugar substitutes such as saccharin and aspartame?. Health news (Waltham, Mass. ), 7(1), 10. Huff, J., & Ladou, L. (2007). 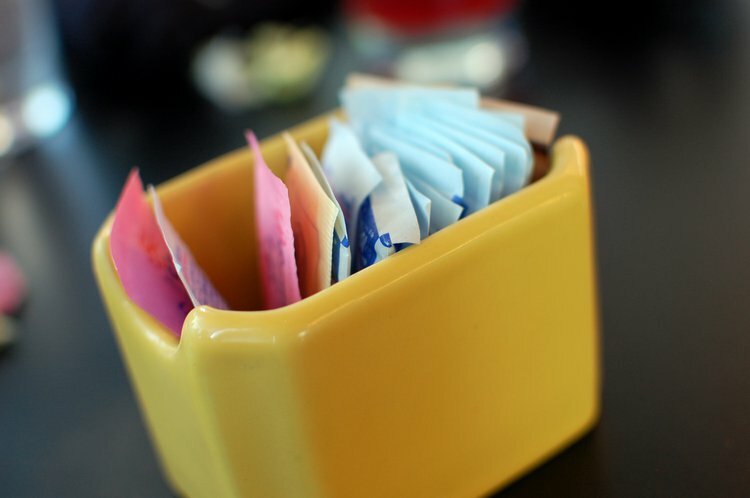 Aspartame bioassay findings portend human cancer hazards. International journal of occupational and environmental health, 13(4), 446-448. Soffritti, M., Belpoggi, F., Esposti, D. D., Lambertini, L., Tibaldi, E., & Rigano, A. (2006). First experimental demonstration of the multipotential carcinogenic effects of aspartame administered in the feed to Sprague-Dawley rats. Environmental Health Perspectives, 379-385. Duffey, K. J., Steffen, L. M., Van Horn, L., Jacobs, D. R., & Popkin, B. M. (2012). Dietary patterns matter: diet beverages and cardiometabolic risks in the longitudinal Coronary Artery Risk Development in Young Adults (CARDIA) Study. The American journal of clinical nutrition, 95(4), 909-915.